Ginkgo news, photos/videos, reactions by followers and more. Now over 2,000 followers, join them! Cover of Ehon Edo suzume 絵本江戸爵 (Picture Book: Edo Sparrow), 1786 (New Year), Japan. llustrated book, woodblock print, set of three volumes. 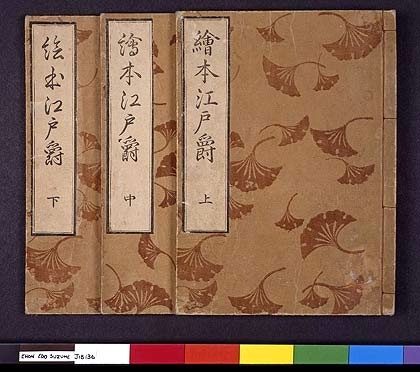 Covers: Original, buff-coloured, printed with scattered brown Ginkgo leaves.